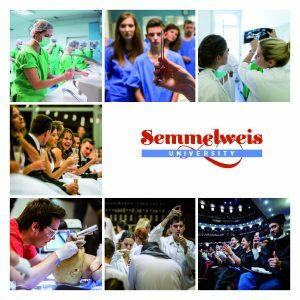 Since its foundation in 1769, Semmelweis University has paid special attention to the continuous development and expansion of its health care services. As a result, the University has grown into one of the largest health care institutions in Hungary today handling 2.5 million cases each year. It has nearly 40 departments distributed among the 4 main clinical centres (Inner Clinical Centre, Outer Clinical Centre, Kútvölgy Clinical Centre, Városmajor Clinical Centre). The University covers the health care needs of approximately 5 percent of the Hungarian population, treating around 200,000 outpatients and 10,500 inpatients each month. There are over 2100 active and 65 rehabilitation/chronic beds, in addition to which the departments provide 14,000 patients with one-day care per annum. Semmelweis University’s patient care is carried out on the highest level and it has several departments catering for patients in critical condition. Cutting edge technology enables the establishment of the most accurate diagnosis, like in the case of organ transplantations and certain procedures are available only at the university. Patient care at the university is an integral part of the education of medical and health care professionals, which is acknowledged worldwide. The departments operating in the field of medical care are under the direct supervision and management of the Clinical Centre.